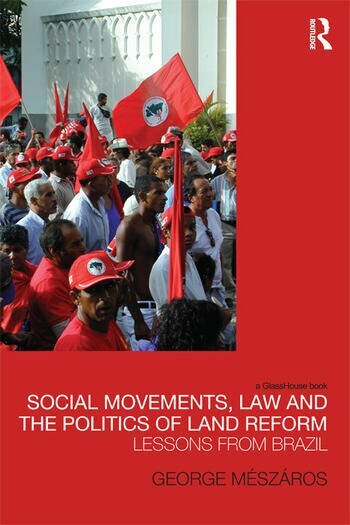 Social Movements, Law and the Politics of Land Reform investigates how rural social movements are struggling for land reform against the background of ambitious but unfulfilled constitutional promises evident in much of the developing world. Taking Brazil as an example, Social Movements, Law and the Politics of Land Reform unpicks the complex reasons behind the remarkably consistent failures of its constitution and law enforcement mechanisms to deliver social justice. Using detailed empirical evidence and focusing upon the relationship between rural social struggles and the state, the book develops a threefold argument: first, the inescapable presence of power relations in all aspects of the production and reproduction of law; secondly their dominant impact on socio-legal outcomes; and finally the essential and positive role played by social movements in redressing those power imbalances and realising law’s progressive potentialities.